Step aboard the most popular boats in the Lake District. Relax and enjoy the stunning Windermere scenery. Combine a cruise on traditional ‘steamers; and modern launches with walks, visitor attractions and Lakeland villages. Windermere Lake Cruises operates over 100 daily scheduled sailings on the lake at the height of the summer and they vary between 30 minutes and 90 minutes. 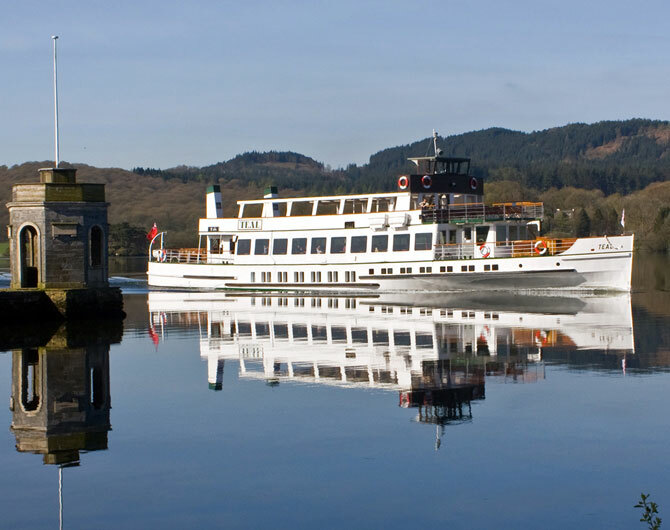 Popular cruises connect Bowness, Brockhole and Ambleside (Red Cruise) and offers stunning views across the Lakeland fells. All our cruise tickets allow you to break up the journey and disembark at each stop, explore the local area and then return on a later sailing. Pick the Yellow Cruise to explore the southern half of Windermere with regular sailings between Bowness and Lakeside, ideal for visiting Lakeland Motor Museum, Lakes Aquarium and Lakeside & Haverthwaite Steam Railway. The seasonal Green Cruise allows visitors to travel across to the quiet western shore and explore Wray Castle in a traditional wooden launch. If you’re stuck for time or want to sample the sights and sounds of Windermere, hop on the Blue (Islands) Cruise from Bowness. This 45 minute circular cruise includes a fascinating commentary on the history of England’s largest natural lake.